Our chemical engineer-managed staff specializes in certified mold & mildew removal, remediation, and prevention in any house, apartment, office, condominium or commercial building. Since 1974, we have been providing cost-effective, health-hazard cleaning solutions to odor, microbial, allergen, chemical, biohazard, poor air quality, and other health hazard problems in your home or workplace. Ask about our practical approach to elimination of the risks associated with mold (mould) and mildew growth; cat, dog, or other pet contamination; biological or chemical odor; rodent or other animal dander; cockroach or dust mite dander; all other indoor allergens; flood damage; sewage backup; hoarding syndrome or senile squalor disorder; and microbial contamination. Gerrus specializes in bathroom sanitizing and decontamination. We also decontaminate and remove animal, chemical and biological-sourced odors, including skunk odor. These dangers could greatly reduce your comfort and safety at home or office, decrease the sale value of your property, or prevent safe and comfortable occupancy of the residence you have just purchased. Call us for help in the elimination of Alternaria, Aspergillus, Epicoccum, Cladosporium, Penicillium, Rhizopus, Stachybotrys Helminthosporium, Fusarium, Mucor, and Aureobasidium (Pullularia) as well as some more common allergen and health hazard culprits. Selling a home? Save time and money by getting your own mold evaluation prior to the buyer’s engineering and mold inspection. Don’t be surprised at closing. Don’t lose the deal because the buyer’s inspector finds mold that you never noticed and didn’t correct. Buying a house? Find out if there are air quality or health hazard issues with the large investment you are about to make. Is your future home contaminated with mold, pet, insect, rodent, and other indoor allergens that would make it difficult for you to occupy your future residence? Don’t take chances with concealed problems. Rely on Gerrus for environmentally safe remediation technology. Call our certified staff for help today. Whether it’s residential or commercial mold remediation, unsanitary premises clean up , indoor allergen removal, hoarding syndrome cleaning, infection control, or sick building syndrome elimination, Gerrus Maintenance Inc. has the expertise to affordably provide for your health hazard needs. Ask us to sanitize and clean neglected homes, conduct biological cleanups, or address your commercial regulatory compliance cleaning needs. Gerrus Maintenance Inc. is the one name to know. Health Hazard Cleaning, Residential & Commercial Mold Removal Services in NJ Since 1974. 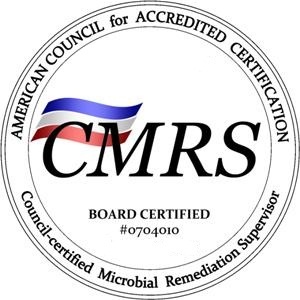 #1 of New Jersey Certified Mold Remediation Companies.